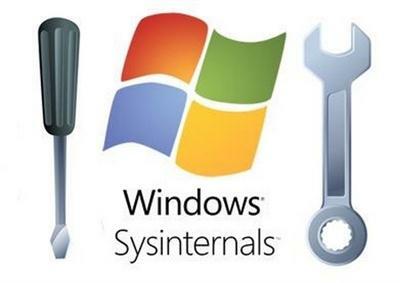 Sysinternals Suite - A suite of technical tools to configure, optimize, test, detect and correct errors in the operating systems Windows.Spektr application of this package is quite wide, because the utility of his cover many areas of the operating system. For example, the utility controls the Autoruns Startup, Process Monitor provides monitoring of all operations that take place in the file system, and the utility PageDefrag performs optimization and defragment your registry. AccessChk, AccessEnum, AdExplorer, AdRestore, Autologon, Autoruns, BgInfo, CacheSet, ClockRes, Contig, Coreinfo, Ctrl2Cap, DebugView, Desktops, DiskExt, DiskMon, DiskView, Disk Usage (DU), EFSDump, FileMon, Handle, Hex2dec, Junction, LDMDump, ListDLLs, LiveKd, LoadOrder, LogonSessions, NewSid, NTFSInfo, PageDefrag, PendMoves, PortMon, ProcessExplorer, Process Monitor, ProcFeatures, PsExec, PsFile, PsGetSid, PsInfo, PsKill, PsList, PsLoggedOn, PsLogList, PsPasswd, PsService, PsShutdown, PsSuspend, RegDelNull, RegJump, RegMon, RootkitRevealer, SDelete, ShareEnum, ShellRunas, SigCheck, Streams, Strings, Sync, TCPView, VolumeID, WhoIs, WinObj, VMMap, ZoomIt.